Following the death of a young wharfie there are claims Ports of Auckland is encouraging unsafe practices by paying bonuses for moving cargo faster. Last month 23-year-old wharfie and father Laboom Dyer suffered fatal injuries when the straddle carrier he was driving tipped over at the Ports of Auckland. The tragedy has prompted a member of another watersider’s family to speak out about the safety culture at the port. The person, who does not wish to be identified, says the wharfie community feels changes need to be made to prioritise safety over productivity. In an open letter to the port’s board and management (published below), they identify the ‘box move’ bonus system which rewards workers with a financial bonus for moving a higher number of containers in a month. Wharfies can earn up to an extra $600 a month under this system, the person claims. “A few of the old boys say as soon as that was brought in they noticed such a change in drivers. It really had people pushing boundaries… to get that extra money,” the person told The Spinoff. However Ports of Auckland Ltd (POAL) says its commitment to safety is “genuine and deep”. Around 60 percent of POAL’s wharfies are members of the Maritime Union of New Zealand (MUNZ). Union secretary Russell Mayn says the box move bonus is port policy and not part of any workplace agreement. “The Maritime Union does not support a bonus that encourages productivity by speed,” he says. POAL is the only New Zealand port operating such a system, and also allows the straddle carriers – the freight vehicles used to move containers – to be driven faster than anywhere else in the country, he claims. Top speed at Auckland is 25kms an hour, compared with between 20-23kms at other ports, he says. Following the death of Laboom Dyer the union asked POAL to reduce the maximum speed to 22kms and put the box move bonus on hold but was declined, Mayn says. The port company said it declined the request because there was no evidence that these factors contributed to the accident. “All factors will be included in the investigation,” it said. Ports of Auckland is carrying out its own investigation into last month’s fatal accident and is assisting the independent investigation by WorkSafe New Zealand. Relations between POAL and MUNZ may not be as acrimonious as they were during the great port dispute of the early 2000s, but they remain tense to say the least. The collective agreement finally hammered out following that protracted and bitter industrial battle has expired, and port and union are once again in facilitation trying to find common ground. In the past year alone two disputes have ended up at the Employment Relations Authority – one over last-minute changes to shift times, and a second over breaches to rules preventing workers from being rostered on for more than 60 hours in a seven-day period. In both cases the authority found largely in the union’s favour. The union is sensitive to publicity: It would not agree to an interview with The Spinoff without several members of its executive and its lawyer being present. The union’s main concerns in the current collective negotiations are around hours of work and fatigue risk management, he says. The full text of the open letter and Ports of Auckland’s response is below. Last week the unimaginable happened. A critical accident involving one of our young men that ended with us laying a brother to rest. Following the accident that stripped a beautiful young lad from the prosperous life he was bound to live, what changes as a company have you made to ensure the safety of our whānau inside your million-dollar gates? Your workplace is a high risk working environment. The men and women employed by you face such imminent risks as soon as they swipe into your front gates. Those men and women are our partners, our children, our siblings and our whānau. They’re more than just employees there to get a job done. Those inside the wharfie lifestyle know far too well the pressures that can be placed on your workers. It is not only expected for them to do the long hours of their job efficiently and effectively, but to get that job done as fast as possible. But will you rebut by saying that is simply not true? Well then why did you as management implement a ‘box move’ bonus system? This system rewards the drivers of your company with a financial bonus for the greatest amount of container box moves they are able to make within a month. Does that not seem to you like you are creating a culture that places productivity above the personal health and safety of your workers and their peers? I know many of those affected by this devastating accident just want to see appropriate culture changes made and better health and safety protocols implemented for the safety of our whānau. For all those whose lives this has affected, it is something we will remember for a lifetime – but what happens in 10 years when a new bunch of young men and women think of this as nothing but a story? I plead with you to take action. Do some reflecting on the state this company is in and make changes that will ensure this NEVER happens again. Your company is supposedly based on ‘family values’ – if that is the case then now is your time to show it. We should have never had to lay our brother and a beautiful young father to rest last week. Rest in love Boom – a life taken far too soon. A devastated member of the wharfies’ greater community. “We completely understand the feelings expressed in this letter. Everyone at Ports of Auckland, including the board and management, have been deeply affected by this accident. We mourn the loss of one of our own and our condolences continue to be offered to his family, all who loved him, worked with him, socialised with him and everyone his life touched. “Our commitment to safety is genuine and deep. We want to know more than anyone why this accident happened, so we can work to prevent anything like it happening again. We are carrying out our own investigation and we are assisting the independent investigation by WorkSafe New Zealand. Plans to get logging trains moving between Wairoa and Napier by the end of the year could have been derailed by a washout during the storm in northern Hawke’s Bay. 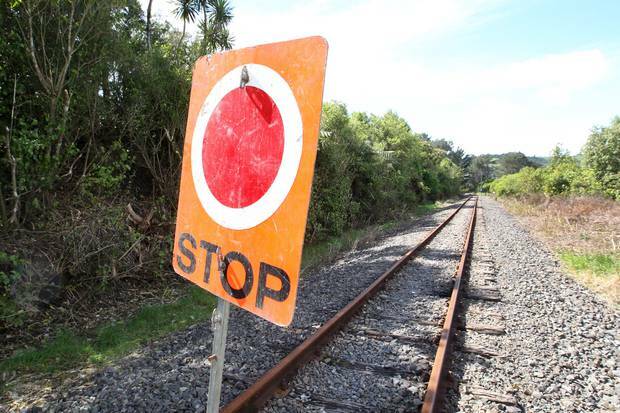 A fortnight after the washout, ruining 45 metres of the track just north of Raupunga, KiwiRail is non-committal to a date for the reopening of the line, and is still assessing the problem. 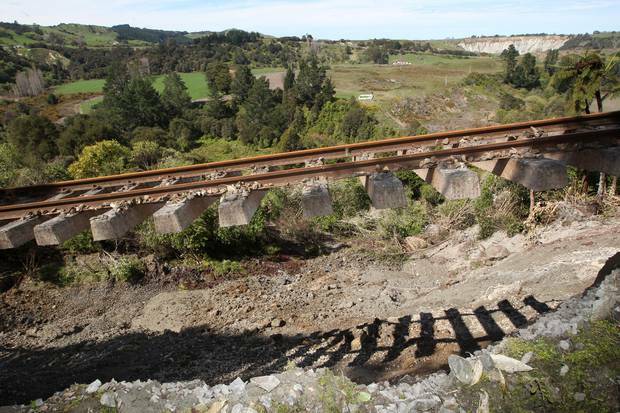 “Our teams are continuing to assess the damage and any impact it may have on the planned reopening date for the line,” KiwiRail said in a short statement today. 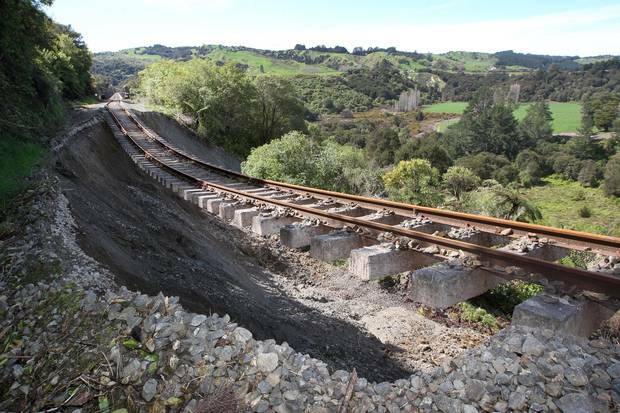 The line has been closed for more than six years since KiwiRail decided it was uneconomical after a major washout which left about 100 metres of track suspended in the air near Mahia on the Wairoa-Gisborne sector in March 2012. KiwiRail had put the cost of repairing that sector at over $3.5 million, and mothballed the line, which had been used only for freight trains since Cyclone Bola put an end to regular passenger services in 1988. Haami Hilton, kaumatua, blessing a work train in anticipation of the railway line reopening. Third from left is Shane Jones, regional economic development minister. 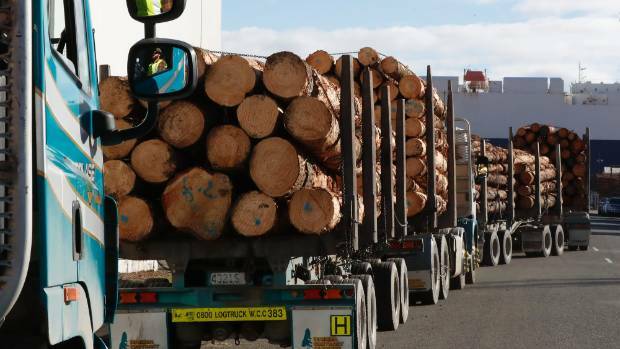 Help was rejected by the government of National Party leaders John Key and Bill English, but the new Labour coalition in February announced a $5 million contribution from the Provincial Growth Fund to reopen the line for logging trains to relieve pressure on the highways amid the growth of the Wall of Timber from forestry harvesting in Northern Hawke’s Bay and Gisborne-East Coast. 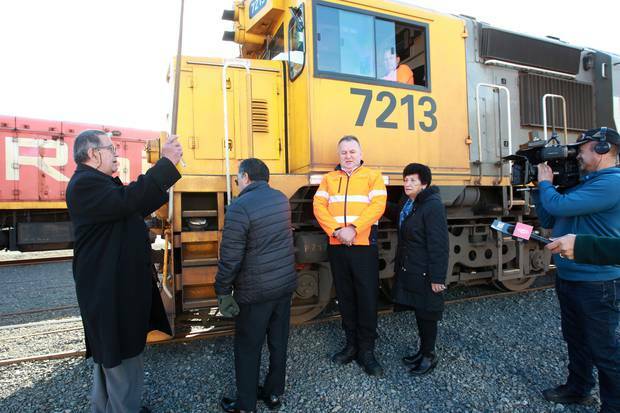 During a ceremonial launch of the project in June, including the dispatch of a train from Napier with track ballast as part of the railway restoration, regional economic development minister Shane Jones sand KiwiRail chief executive Peter Reidy weren’t putting a precise date on the reopening, but Mr Jones said it was hoped there’d be 2-3 trains from Wairoa to the Napier Port each week within 12 months. It’s estimated there will be close to 6000 less logging-truck trips on the 116km stretch of State Highway 2, which has had several passing bays installed and the major work of the Mata horua Gorge realignment and bridge, but still includes winding stretches, and the notorious bend of the Devil’s Elbow between Napier and Tutira. A remarkable maritime event occurred recently. China became the world’s second-largest shipowning country, overtaking Japan. The top shipowner, Greece, is still much larger but the gap is closing as China’s fleet expansion continues at a rapid rate. Numerous giant ore carriers, tankers and container ships scheduled for delivery to Chinese owners in the months and years ahead are likely to further boost capacity. Strong and accelerating growth in the China-owned merchant ship fleet has unfolded. In 2017 an increase exceeding 9 percent was seen, and recent signs suggest that this year’s annual rise could be similar. The extensive orderbook for new vessels due to be delivered through the next two or three years will add substantial tonnage, but other less predictable influences also will determine fleet growth. Many new ships will be employed in long-haul international trades where China is the cargo importer or exporter. For container ships, cargoes both to and from China are likely to provide employment while, for bulk tonnage in the biggest size categories, import trades will be most prominent. Amid vast quantities of manufactured goods and bulk commodities moving, potential for further participation of China-owned ships is clearly visible but, on some trade routes, other nationalities’ ships may be displaced. 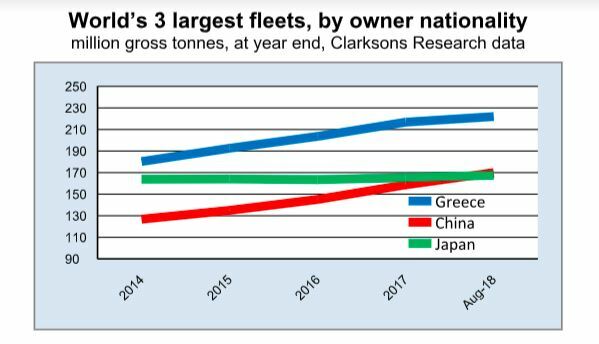 In the past three years and eight months, the China-owned fleet has expanded by just over one-third, a higher percentage increase than seen in the Greek-owned fleet and much higher than Japan’s minimal growth. According to revised figures compiled by Clarksons Research, the China-owned fleet recorded growth rates of 6.5 percent in 2015, 7.5 percent in 2016 and 9.4 percent in 2017, before adding 7.1 percent in the January-August 2018 period. China’s fleet comprised 7,744 ships totalling 170 million gross tons at the end of August this year, above Japan’s 167.6m gt. The Greek fleet total was 222m gt. Gross tonnage is used in these statistics as a common ship capacity measure for all vessel types. China’s fleet has expanded by 34 percent since the end of 2014, compared with 23 percent growth for Greece. Japan has seen only a slow 2 percent rise over the same period. At the end of last year orders at shipbuilding yards for new vessels to be delivered to China-based shipowners comprised a huge volume. The 25.5m gt total, according to Clarksons figures, was equivalent to almost 17 percent of the existing China-owned fleet as calculated then. Within this orderbook a large proportion was scheduled for delivery in 2018, and a striking feature was the numerous orders for the biggest bulk carriers, tankers and container ships. Many of these newbuildings already have been completed and begun operating in the first eight months. The remaining September-December period, continuing into next year and later, is likely to see more ships delivered. One especially notable feature beginning this year is the start of the second valemax ore carrier programme. Among bulk carriers, these are the largest in existence, with a 400,000 deadweight tonnes capacity, well over twice the capacity of the standard capesize vessel which is often the maximum size participating in most trades. China-based companies ordered 30 valemaxes, of which 18 totalling 7.2 million dwt were due for delivery during 2018, and 10 appear to have been delivered in the first eight months followed by an additional ship this month. The current year’s scheduled valemax deliveries consist of 7 for China Merchants, 4 for China Ore Shipping and 7 for VLOC Holding Company. China Ore Shipping is a subsidiary of Cosco, while VLOC Holding is a subsidiary of ICBC (Industrial & Commercial Bank of China) Financial Leasing. Mammoth container ships are another prominent feature in the orderbook, with many scheduled for delivery in 2018. It appears that 11 ultra-large vessels with the greatest capacity currently existing are due to be delivered this year, in the 19-21,000 teu (twenty-foot equivalent unit) range, all ordered by Cosco Shipping. In the tanker sector orders for vlccs (very large crude carriers) are at the forefront. The scheduled 2018 deliveries comprised 9 ships of 310,000 dwt for China VLCC, a China Merchants subsidiary, and 2 of 308,000 dwt for CSG Tanker Dalian. The orderbook for new ships stretches out through the next two years and later. According to the Clarksons data, September-December 2018 deliveries scheduled, of all types and sizes of ship, total 4.8m gt, followed by 9.9m gt in 2019 and a further 6.1m gt in 2020 and beyond. The entire orderbook for China-owned vessels, at end August 2018, amounts to 20.8m gt which is equivalent to 12 percent of the country’s existing fleet capacity. Compared with the other two largest owner nationalities, China has a more extensive orderbook than Greece which has a 16.9m gt total, equivalent to under 8 percent of the current fleet. Japan has the number one orderbook totalling 25.1m gt, amounting to 15 percent of its current fleet. Looking ahead to next year’s and later deliveries, numerous mega vessels in the bulk carrier, tanker and container ship categories are set to augment the China-owned fleet. In 2019, the valemax 400,000 dwt ore carrier fleet will be expanded by the scheduled addition of 10 ships for owners based in China, followed by 2 in 2020. A further 4 vlcc tankers in the 308-310,000 dwt size range are listed for 2019, with a similar number in 2020-21. There are 6 ultra-larger boxships on order for 2019 delivery, reportedly postponed from this year. Among other big vessel categories, two owners in China will take delivery of 6 guaibamax 325,000 dwt ore carriers starting next year when two will be completed. Another bulk carrier category is newcastlemax 208,000 dwt vessels, 3 of which are due for delivery to owners in China in 2019, followed by a further 7 in 2020-21. In the tanker sector, 3 suezmax 158,000 dwt vessels are scheduled for 2020-21 delivery. Also, three 172,410 cubic metre liquefied natural gas (lng) carriers are scheduled over the next two years. One significant aspect in a global shipping market context is the employment patterns of the new China-owned vessels. Many new ships, especially those in the largest size categories, are likely to be employed in trades where China is at one end of the route, either as the cargo importer or exporter. However, while this activity may form the majority of employment, some ships may be occasionally utilised in trades where China is not involved as a voyage destination or origin. These are the traditional international ‘cross-trades’. A full analysis of newbuilding vessels’ employment is not feasible, owing to limited information about intentions or contract details. Also, evolving global freight market conditions can be expected to have an impact on employment arrangements, resulting in changing perceptions over extended time periods about trades in which to participate. Nevertheless, in some cases such as the mega-size container ships, the most likely deployment and trading patterns are fairly obvious from a review of the market for this tonnage. For the new giant valemax ore carriers, there is clarity about their intended usage both in the period immediately ahead and in the longer term future. In all cases, lifespan charters for the thirty newbuildings of this size now being delivered were agreed when the orders were placed in early 2016. The charterer is Brazilian mining company Vale and employment of these vessels starting 2018 or later, after delivery from the shipbuilders, is on a contract of affreightment (coa) basis over a period of 27 years. It seems clear that the principal trade route will be Brazil to China carrying iron ore, although other destinations are likely. During recent months, one new valemax was on a route identifiable as loading in Brazil followed by discharging at ports in Japan. Another new ship of this type evidently discharged ore at the distribution facility at Teluk Rubiah in Malaysia. A further recent example of diverse trading patterns is a newly-delivered vlcc tanker arriving in Rotterdam, after being recorded at an oil loading port in the Arabian Gulf. This anecdotal information shows significant involvement of new China-owned shipping capacity, as well as the existing fleet, in broader global trading. An aspect relevant to the introduction of the new vessels is growth in cargo volumes and ship demand within the trades where employment is assumed to be concentrated. For example, arrival of the new valemaxes this year has coincided with signs pointing to a slowing upwards trend in China’s iron ore imports. Seaborne iron ore trade is dominated by China’s more than two-thirds share of global imports. If this slackening trend persists, even if the proportion supplied to China by Brazil – the route on which valemaxes are employed – increases, the new ships may displace other nationalities’ vessels currently participating. Consequently forecasts of the China-owned fleet’s future growth are just a broad indication of the likely magnitude of changes. The longer ahead predictions stretch, the greater the uncertainty surrounding calculations. 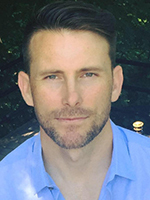 Evolving freight market trends and expectations could have significant effects on secondhand sales and purchases volumes, while scrapping decisions also could be affected by freight rate levels and market activity, especially when vessels are employed in international cross-trades where China is neither importer nor exporter of the cargo carried. Nevertheless, despite these imponderables, it seems arguable that a foreseeable trend in the China-owned fleet is further substantial expansion over the next few years. China’s position as the world’s second-largest shipowning country probably will be consolidated. 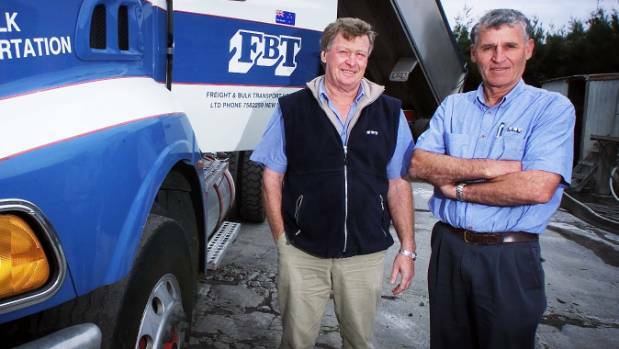 FBT freight company bosses Malcolm Campbell and John Geraghty. Little pay, long hours, and limited experience are reasons industry experts watch truck driver positions sit around unfilled. And it looks to be cyclical problem with no single solution. John Geraghty, co-founder of New Plymouth-based freight company FBT, said the “now hiring” signs which have popped up at Taranaki trucking companies are a common sight around the country. Class 5 truck drivers are in high demand in Taranaki, but those in the industry say it’s a struggle to fill the positions. As the spokesman for J.D. Hickman, Hopkins, Peter Sole Transport, G. J. Sole, and Jackson Transport, Geraghty knows full well the scale of the problem. “Those in the industry are getting old,” he said. A shortage of truck drivers is a nation-wide issue, industry leaders say. Pictured: Temuka driver Johnny Baxter. Life on the road hauling logs, milk or vegetables was a rewarding profession, Geraghty said. But selling the idea of driving heavy vehicles, no matter the comfort or technology, could be tough with drawbacks such as long work weeks. “While some drivers will work a 40 hours a week, others will work 50, 60, sometimes 70 hours per week,” Geraghty said. 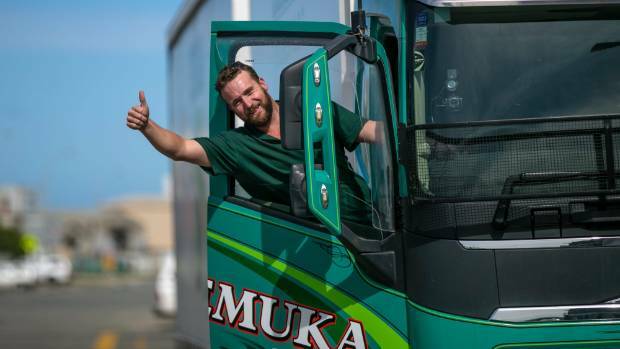 Port Taranaki and Fonterra operate 24 hours a day in order to maintain their business relations, he explained, which then requires them to use a trucking company that could provide drivers at any time of day. If a trucking company couldn’t provide drivers for those hours, they would miss out. Heavy truck drivers could make between $16 an hour to $25 an hour, Careers New Zealand said. “I do think we can do better,” Geraghty said. It’s a costly industry to enter, too. Class 5 drivers are highest demand, which is a level of experience that takes years to reach. Of the 16 jobs in Taranaki for truck drivers listed on TradeMe – some of which included multiple openings – nine were for Class 5 drivers and seven were for Class 4 drivers. While Class 1, 2 and 3 can operate trucks and trailers, the heaviest of the vehicle tops out at 25,000 kilograms – or a truck less than 5.4 metres in length. And though a Class 4 can operate a vehicle more than 18,000kg, the licence doesn’t allow the operation of trucks covered by a Class 3 licence. Wayne Mehrtens, New Plymouth manager of TIL Freight, said it can take quite a while to get through all the steps. “We are all struggling to get Class 5 drivers,” he said. But holding a licence does not guarantee work. Spencer Shaw, Taranaki area manager of One Staff recruitment agency, said there is pool of licensed drivers but it’s time spent behind the wheel that companies are looking for. She said companies were wary of placing an inexperienced driver in the seat of a $170,000 truck and then sending them off to drive New Zealand roads. And even if companies offered apprenticeships, the training was confined to the training grounds, he said. Apprenticeships have in the past assisted TIL Freight in filling vacancies, Mehrtens said, but it’s an expense paid out of pocket. “What we need is to have our industry recognised as a skill rather than a ‘oh I can’t get a job, I’ll just be a truck driver’,” he said. And there’s more to the trade than driving trucks, such as working as a storeman or a dispatcher, Mehrtens said. Freight cost rises for a wide range of goods is inevitable says the National Road Carriers Association, the country’s leading road transport organisation. “Road transport companies are under increased cost pressure from a variety of directions which will flow through to consumers,” says David Aitken, NRC’s CEO. Next month (1 October) Road user charges are due to increase – by up to 10 percent – depending on the weight and type of vehicle. Other cost increases facing road transport operators include rising fuel prices, insurance, wages and salaries, congestion and waiting times at the ports. Mr Aitken said companies in the Auckland area were already paying 11.5 cents a litre more for fuel as a result of the recently introduced regional fuel tax. 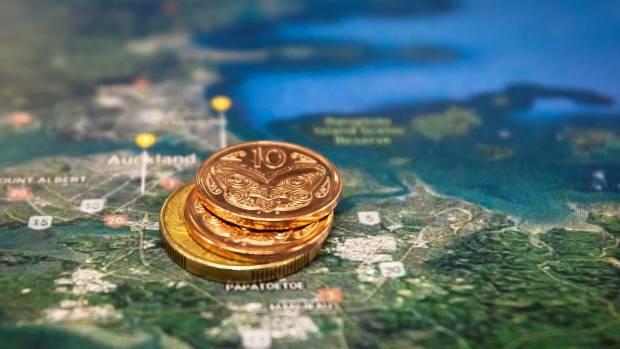 Increasing congestion – particularly in Auckland – but also in other major cities, Hamilton, Tauranga – Mt Maunganui, Wellington and Christchurch has meant trucks were not getting through as much work in a day, but operational costs still had to be covered. “It’s taking longer to get goods onto and off the wharf, especially in Auckland, and that adds to costs. The old cliché that time is money still holds true,” says Mr Aitken. There have also been increases in insurance premiums and higher wages and salaries necessary to retain staff in an industry where there are personnel shortages. Given these costs increases, the road freight sector will need to pass these onto their customers who will ultimately pass them onto consumers. 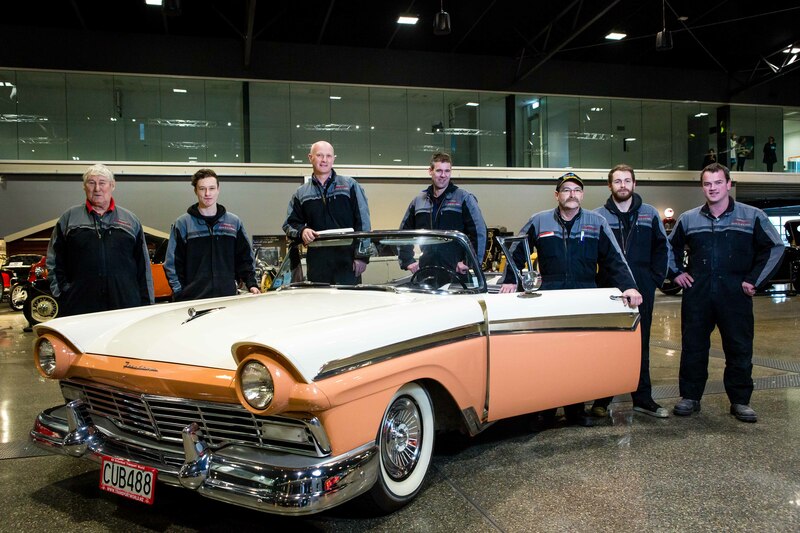 Over the past few years, Invercargill’s Bill Richardson Transport World has become a focal point for classic-vehicle enthusiasts. Now the largest private museum of its type on the planet, it displays hundreds of vehicles, automobilia, and wearable art, as well as operating The Grille restaurant. Just down the road is the out standing Classic Motorcycle Mecca, Australasia’s premier motorcycle museum, which is soon to double in size. For the first time, Transport World will take some of its cars outside Invercargill, bringing five to the show in its huge Mack Vision transporter, a showpiece in its own right. Their exhibit will include three Fords, a Citroen, and “Archie” the Kombi. Learn more about Transport World at the Autospectacular. Umer Anwer stops on the street near Tesla Inc.’s Brooklyn showroom and grabs his smartphone. He’s looking for a spot to charge his electric car, and the Tesla charging plugs won’t work with the Nissan Leaf he’s driving. In fact, he would prefer not to bother with a plug at all. Hevo Inc., the wireless-charging startup where Anwer is chief technology officer, aims to overturn the burgeoning industry that’s busy building out a global infrastructure to provide power to electric cars through public plugs. There were about 582,000 public charging outlets worldwide at the end of 2017, according to a recent report by Bloomberg, and that number is forecast to grow by nearly 30% this year. Virtually every one of these charging locations uses plugs. 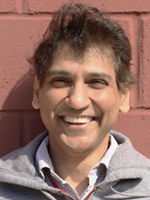 Anwer eventually maneuvers his electric car over a device that looks like a white plastic panel, then presses a button on a smartphone app. After pulling into the parking space, blue dots flash under the windshield to indicate that power is flowing into his battery. There are about 6 inches of empty space between the charger and the car, which has been modified to receive power through an electromagnetic field. This could represent the future of car charging. Suburban driveways, public spaces, parking lots and interstate rest stops could be tricked out with wireless ports to serve the tens of millions of electric cars expected to be on the roads over the next two decades. Wireless charging, if it catches on, may provide a solution for one of the main questions hanging over electric cars: How can cities accommodate the infrastructure needed without cluttering up streets with posts and wires. In cities such as New York, London and Hong Kong, where parking is scarce, it’s difficult to imagine where extra space can be made to accommodate idle cars while they recharge. Hevo has raised $4.5 million to date in a bid to solve that problem, with funding evenly split between venture capital and government grants. After wrapping up 10 pilot projects across four countries and four U.S. states, the seven-year-old startup is moving into manufacturing. The company has set up shop in a factory in New York, where it plans to soon crank out its first 25 wireless chargers. The company plans to make thousands of devices in the next 18 months, the volume necessary to make good on the supply agreements he has signed with carmakers and utilities. McCool declined to identify his clients, citing nondisclosure agreements. Electric vehicles are projected to undergo explosive growth in the coming years. The International Energy Agency projects that the number of plug-in and hybrid cars on the roads will triple to 13 million by the end of the decade. More than a quarter of all new cars sold annually will be electric by 2030, according to forecasts by Bloomberg, with the global ranks of electric cars reaching 30 million by then. Of course, as things stand today, virtually all of these cars would need to be plugged into a socket before they could be charged. Before the world can adopt wireless charging, cars already on the road would need a retrofit and carmakers ultimately would need to tweak their existing designs. This technology also could provide a solution to the issue of how to charge electric cars in densely populated cities. Today, most drivers of the plug-in cars on the road almost always will charge up at home. That requires a garage or a driveway. Installing Hevo’s devices in apartment building parking lots and along residential streets could help open up new markets, from New York to Tokyo, where access to plugs can prove difficult. 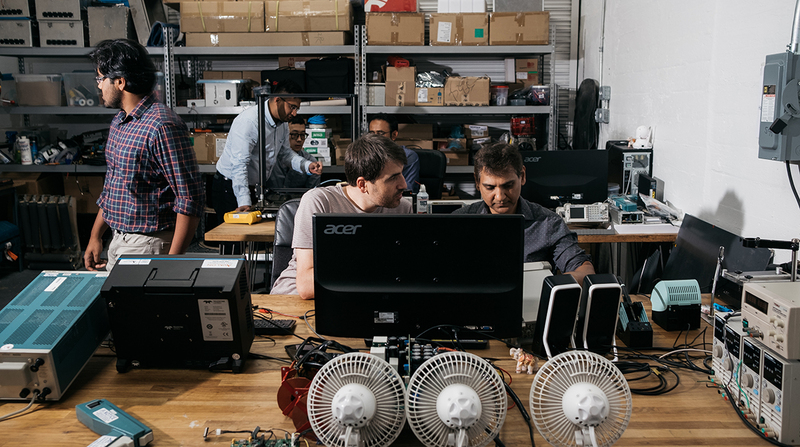 The engineering team at Hevo works out of a garage in Brooklyn’s Red Hook neighborhood, where much of the prototyping and small-batch manufacturing takes place. If wireless charging takes off, it may threaten the conventional electric-vehicle charging industry that already has attracted millions of dollars. Investment into companies building out charging networks rose 165% last year to $345 million, according to Cleantech Group, and there have been 18 deals this year totaling $223 million. Other companies, including WiTricity and Plugless Power, also are developing wireless chargers. Oil companies have made recent moves into charging to allay concerns about losing customers at gas stations. BP agreed to buy Chargemaster for 130 million pounds ($169 million), and Royal Dutch Shell snapped up NewMotion. Both companies have built out networks of charging infrastructure in Europe. Several European utilities, from Fortum Oyj of Finland to Innogy SE in Germany, are installing thousands of chargers in garages, parking lots and next to highways across the continent. If it can be commercialized, technology such as Hevo’s someday may shake up these plans.